With all the four seasons and subtropical climate, Hong Kong is the place where you can experience everything, from cold and dry winter, through changeable and rainy spring, humid and hot summer and maybe the most enjoyable season, autumn. If you spend several months in Hong Kong, it will become quite obvious that the climate of this city is distinctive. January and February can be quite cold, actually the coldest of the year, even though the temperatures, in general, are not very low. Considering the rain, Jun and August are the wettest months, especially August with four rainy days out of seven. Completely opposite situation is in January, the driest month of the year, with only six rainy days. Typhoons and tropical storms are typical for Hong Kong from May to September, though in September they are the most frequent. There is a great system of warnings for typhoons, so it cannot catch you unprepared. Nevertheless, you can visit Hong Kong at any time of the year, without losing the chance to enjoy its beauties, though the weather is changeable and at some points really surprising. The best period to explore natural beauties of Hong Kong is by no means autumn with pleasant temperatures, and when the possibility of being caught by rain or thunderstorm is the least. Spring is also highly recommended, so in general, the ideal time is from October to mid-December and from March to April. 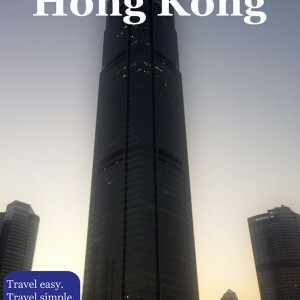 However, most of the tourists visit Hong Kong from September to December and at that period it is the most crowded. Warmer weather comes with spring in March, which from the very beginning can be quite similar to December, becoming warmer as it goes to the end. Lasting to mid-May, this season can be very tricky. One day you may experience a clear blue sky while immediately after that rain showers and steamy humidity can surprise you, especially as summer is getting near. The usual temperature can range between 18-27°C, though spring evenings can be coldish. Also, with only around 100 hours of bright sunshine in March and April, spring is the cloudiest time of the year. In late May up to mid-September, there comes maybe the least enjoyable season in Hong Kong – summer. Extremely hot and humid, with periodical thunderstorms, this is also a typhoon season, with the culmination in September. On the other side, June is also one of the wettest months, besides August, where it may rain for over than a half of the month. Summer nights are also quite hot, with the average temperature of 26 °C. So, if you want to enjoy the summer in Hong Kong, do not go out without taking an umbrella, putting on some light summer clothes and sunglasses. The most comfortable season for outdoor activities and walks is definitely autumn starting from September to November, with plenty of the sunshine and just a few rainy days. Temperatures tend to be very similar to those during summer, with an average of 24°C, but humidity is significantly lower, which makes the days much more bearable than those of summer. Nights also tend to be very pleasant and enjoyable regarding the temperature. Taking all this into consideration, it is not strange that this season is often marked as one of the most convenient for visiting Hong Kong. Starting in December, winters are mild and pleasant. December usually can offer refreshing breezes, warm temperatures and a lot of sunshine. However, January and February are somewhat different, even considered to be the coldest months of the year, followed by dry winds coming from the North, and temperatures which can go below 10 degrees Celsius. However, winter is still regarded as a pleasant season, without many rainy days, lower humidity and overall comfortable weather.